The Riigikogu deliberated the proposal of the Chancellor of Justice for bringing the Status of Member of Riigikogu Act into conformity with the Constitution of the Republic of Estonia Comments were presented by Jaanus Marrandi, Andres Herkel, Marek Strandberg, Hannes Rumm, Tõnis Kõiv, Evelyn Sepp, Urmas Reinsalu and Eiki Nestor. 86 members of the Riigikogu voted in favour of the proposal of the Chancellor of Justice, nobody voted against and nobody abstained. 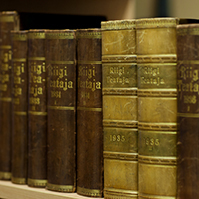 Pursuant to the proposal passed today, the Constitutional Committee of the Riigikogu will have to initiate a bill for bringing the Status of Member of Riigikogu Act into conformity with the Constitution. (No 1, 21.01.08). 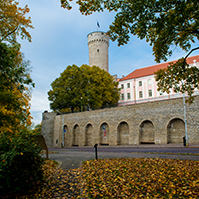 The Chancellor of Justice maintained that the Constitution provides the prohibition on being member of the supervisory board of a company with state participation for Members of the Riigikogu as representatives of the state. Such prohibition is not provided in the Status of Member of Riigikogu Act which means that the respective provision of the specified Act is in conflict with the principle of incompatibility of offices arising from subsection 63 (1) and clause 64 (2) 1) of the Constitution. 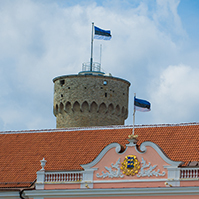 In this connection, the Chancellor of Justice made the proposal to the Riigikogu to bring the Status of Member of Riigikogu Act into conformity with the principles of incompatibility of offices and separation and balance of powers. 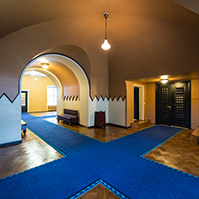 Reports were made by the Chancellor of Justice Allar Jõks and the Chairman of the Constitutional Committee Väino Linde. 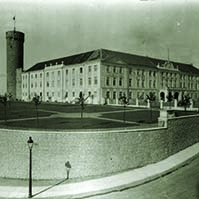 The Riigikogu concluded the first reading of the Bill on Amendments to the Hobby School Act, the Pre-school Child Care Institutions Act, the Vocational Educational Institutions Act and the Basic Schools and Upper Secondary Schools Act (175 SE), initiated by the Social Democratic Party Faction, the Pro Patria and Res Publica Union Faction and the Estonian Reform Party Faction. The purpose of the Bill is to ensure stability for persons who are suited for the office of head of school in cases where their suitability has been approved by a competent committee. The abovementioned Acts will be amended by adding provisions regulating the evaluation of heads of school. The Bill was sent to the second reading. The first reading of the Bill on Amendments to the Investment Funds Act, the Guarantee Fund Act and the Securities Market Act (172 SE), initiated by the Finance Committee, was concluded. This Act specifies the possibilities of investment funds upon investment in securities and the procedure for takeover bids of publicly traded companies. The prospectus regime of investment funds (preparation and disclosure of prospects) will be harmonised to a greater extent with the relevant European Union law. The Bill was sent to the second reading. 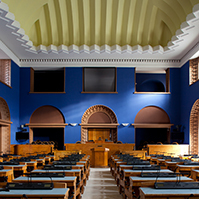 On the motion of the Finance Committee as the leading committee, the Riigikogu rejected at the first reading the Bill on Amendments to the Income Tax Act (153 SE), initiated by the Estonian Centre Party Faction. 42 members of the Riigikogu voted in favour of the motion of the Committee and 33 members voted against, nobody abstained. Thus, the Bill was withdrawn from the legislative proceeding. Due to the end of the working hours of the sitting of the plenary assembly, the first reading of the Bill on Amendments to the Income Tax Act (133 SE), initiated by the Estonian Centre Party Faction, was adjourned. The deliberation will be resumed tomorrow, at the sitting beginning at 2 p.m.